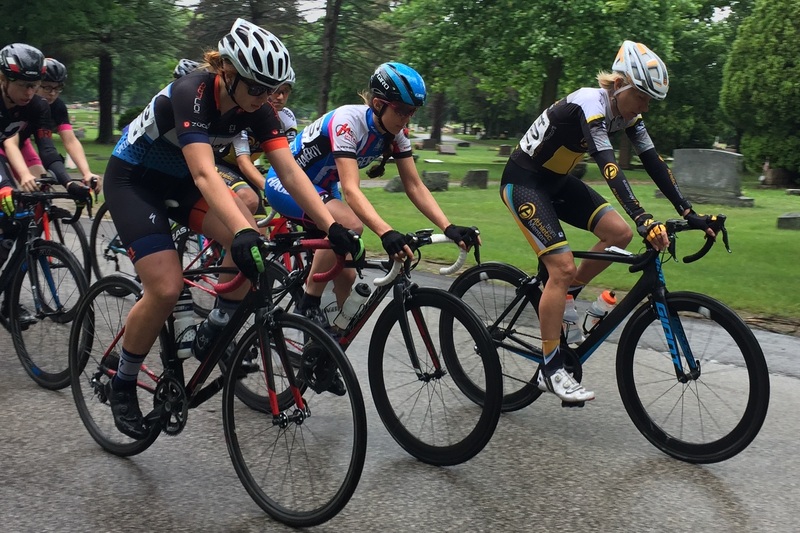 Detroit, Michigan - In the final racing for many team members before road nationals, Andrie Junior Development team members claimed three podium places. 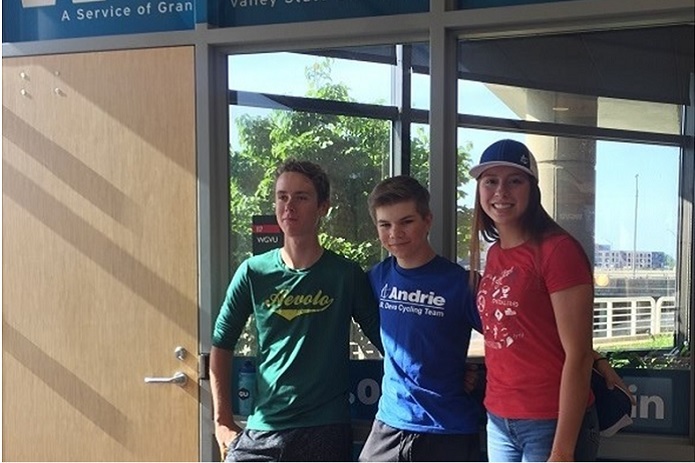 Grand Rapids, Michigan - Summer Gibert, Hayden Fox, and Alumni Nick McKey talk with Morning Host Shelley Irwin at WGVU Public Radio on July 11, 2018. 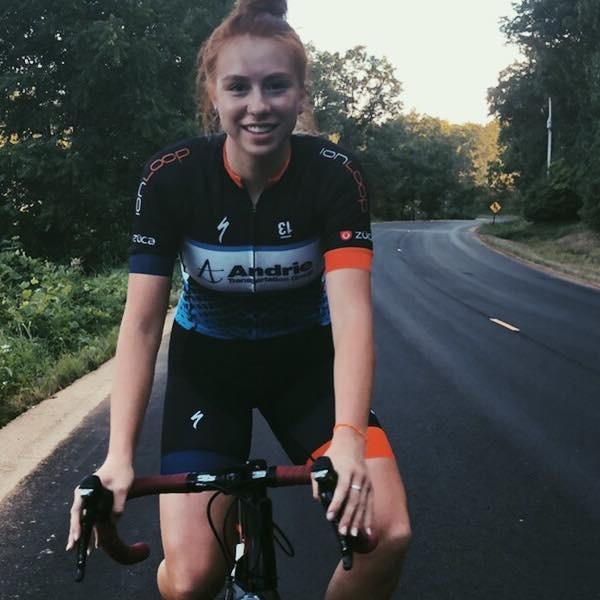 WISCONSIN – Andrie Junior Development team speedster Carmen Davidson was on the podium all four days she raced at the prestigious Tour of America’s Dairyland, claiming the top spot an impressive three times. 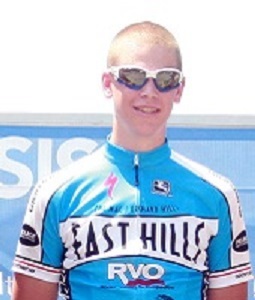 Zeeland, Michigan - Andrie racers mourn former teammate; compete in fast adult events at Zeeland Crit on Friday, June 15th. 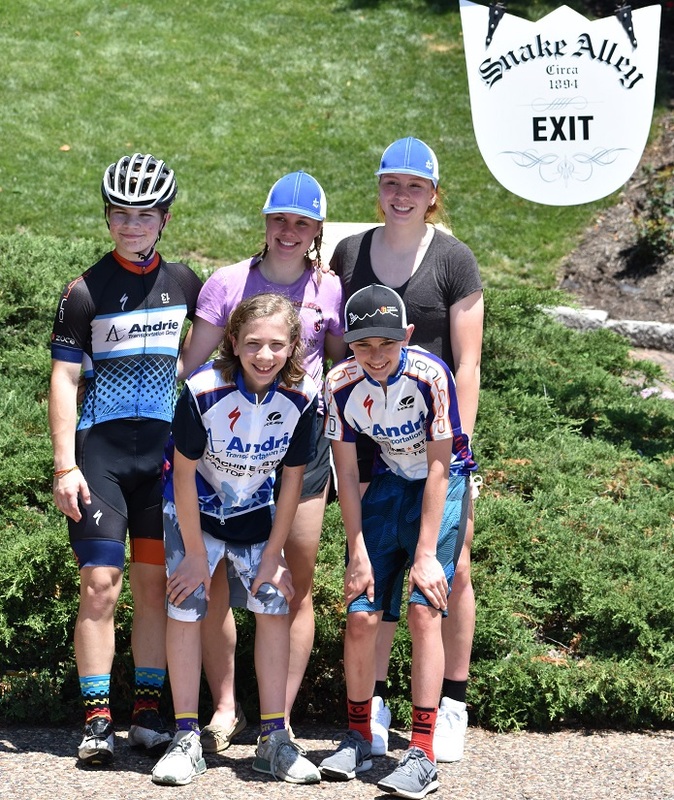 Lawton, Michigan - Four Andrie Junior Development team members competed in high-paced action at the 8th Annual Race for Wishes Road Race on Sunday, June 10. 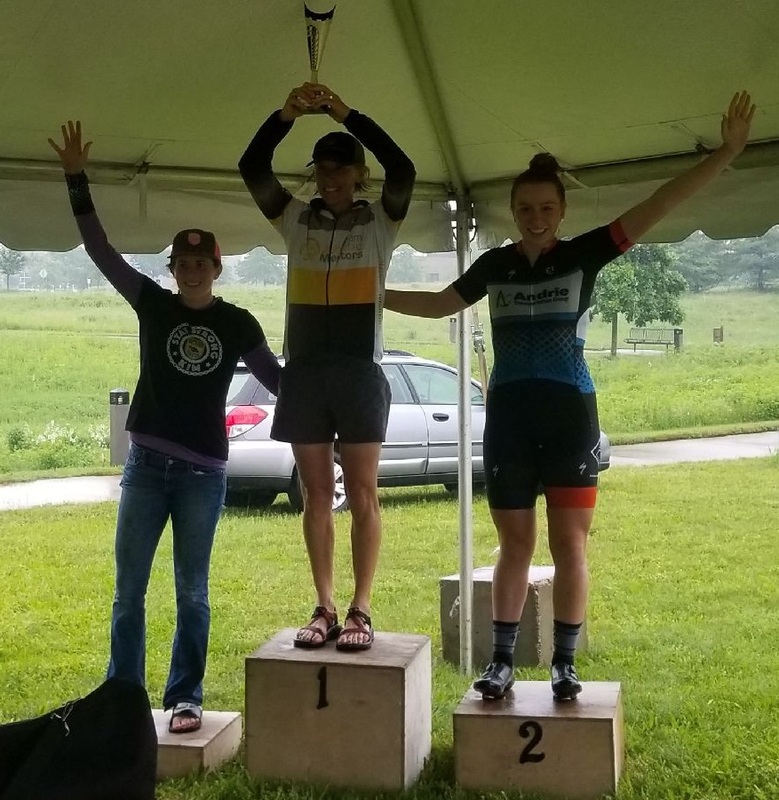 KALAMAZOO, Michigan - Summer Gilbert highlighted the results for four Andrie Junior Development competitors at the BTR Park Criterium on Saturday, June 9. 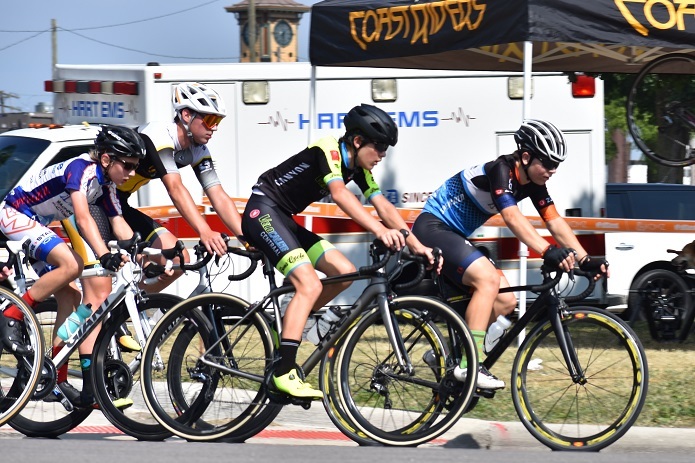 Burlington, Muscatine, and Davenport, Iowa - Five members of Michigan’s elite junior road racing team competed in sweltering heat during the prestigious Memorial Day Weekend Races in Iowa, held May 26-28. Whitehall, Michigan - All six Andrie team members competed in the first year of the three-stage race around White Lake on May 19 and 20. 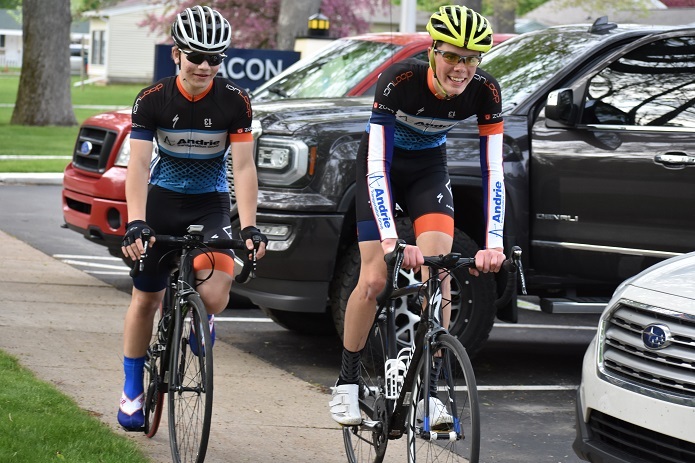 Teammates Judah Gustafson and Hayden Fox wrapped up the Weekend at White Lake Stage Race by finishing 1st and 2nd in the Men’s Category 3/4 road race on Sunday. 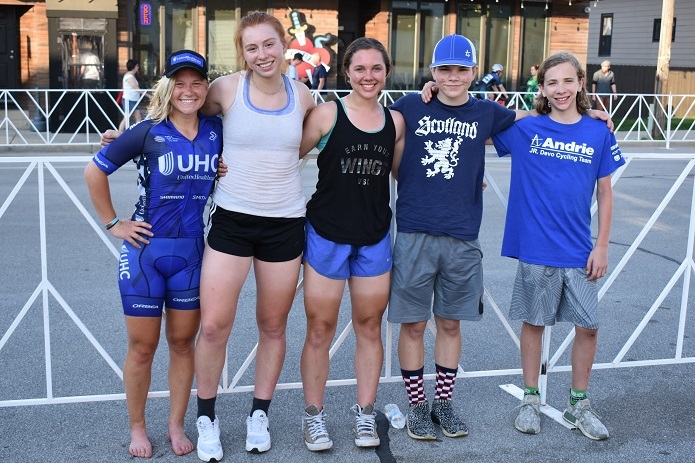 LaCROSSE, Wisconsin - Summer Gilbert jumped into the Elite Women’s division at the prestigious LaCrosse Omnium and pedaled to an eighth place finish in the three-day points race. 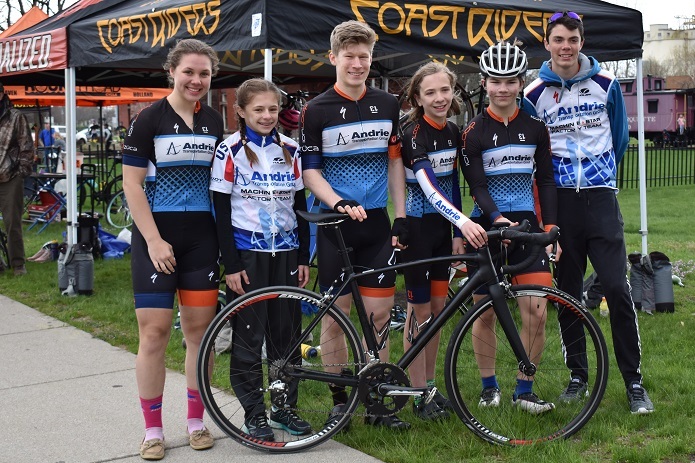 MUSKEGON, Michigan - Members of the Andrie Junior Development team started the regular racing season off with a stellar showing at the second annual Port City Crit in downtown Muskegon on Sunday, May 6. 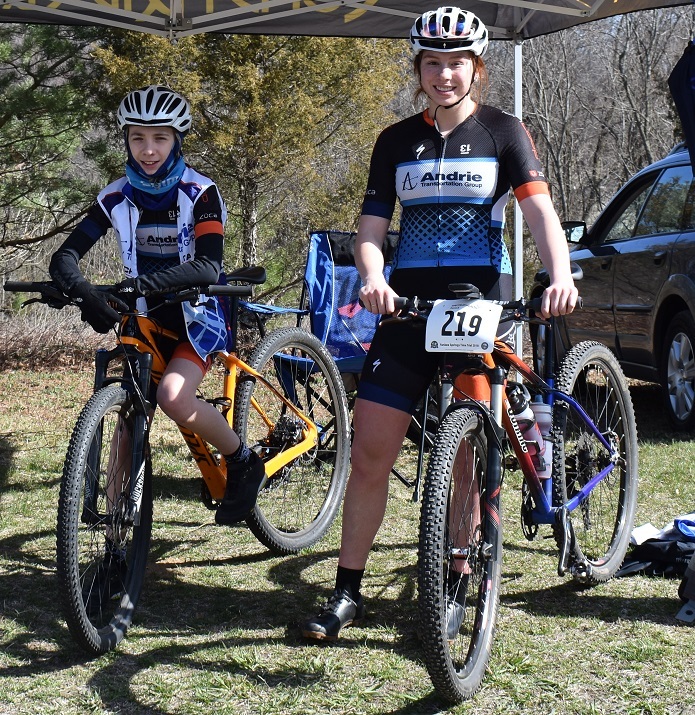 Yankee Springs Time Trial 2018 Trio find success at one of the largest and longest running time trial races in the Midwest, the event had over 700 participants who challenged on some of the most advanced single track in the state. 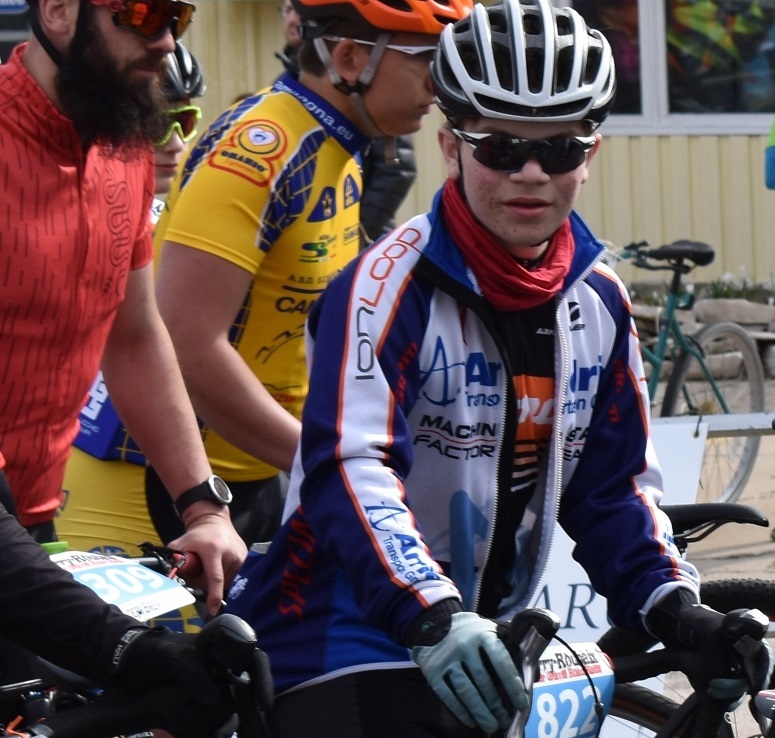 Hastings, MI - Andrie team members Judah Gustafson, Caleb Borns, Hayden Fox, Carmen Davidson, and Nicholas Budden conquer world’s largest ravel road race. 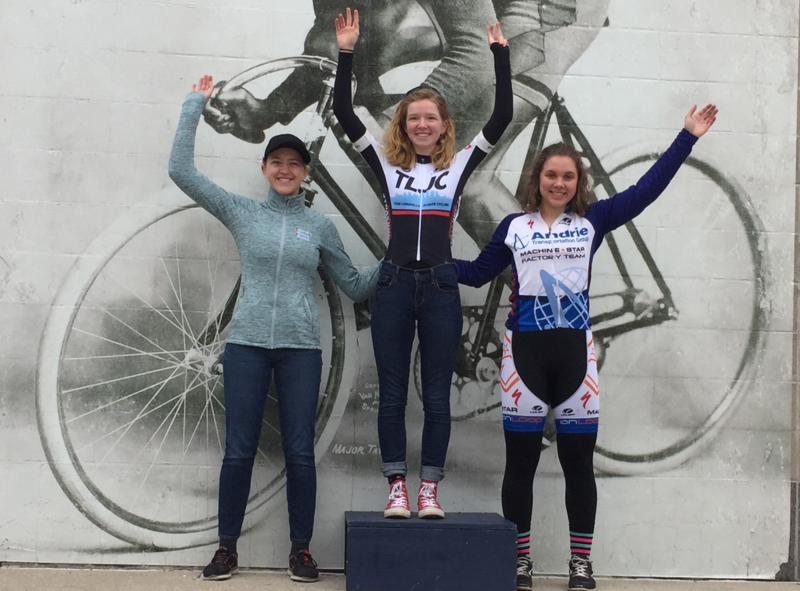 Indianapolis, IN - Three Andrie Junior Development team members braved more chilly spring weather to claim podium finishes at the 22nd Annual Marian Midwest Cycling Classic Criterium held March 31 in Indianapolis. 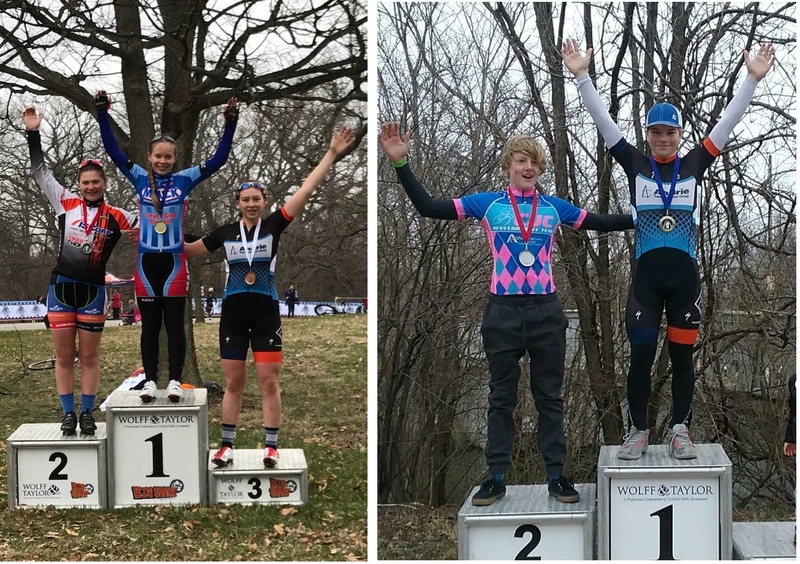 St. Louis , Missouri - Andrie teammates Summer Gilbert (Hamilton, Michigan) and Hayden Fox (Grand Rapids, Michigan) took on the three-day Tour of St. Louis omnium featuring an 11-mile time trial followed by two criteriums on March 17-18.